It is just a couple of monts ago that a huge white trumpet (Tuber magnatum) has been found in Northern Greece, weighing 510 grams. It is the largest white trumpet (Tuber magnatum), found in recent years in Greece and the second largest in Europe, by the first found in Italy in October 2017 which has weighed 570 grams . 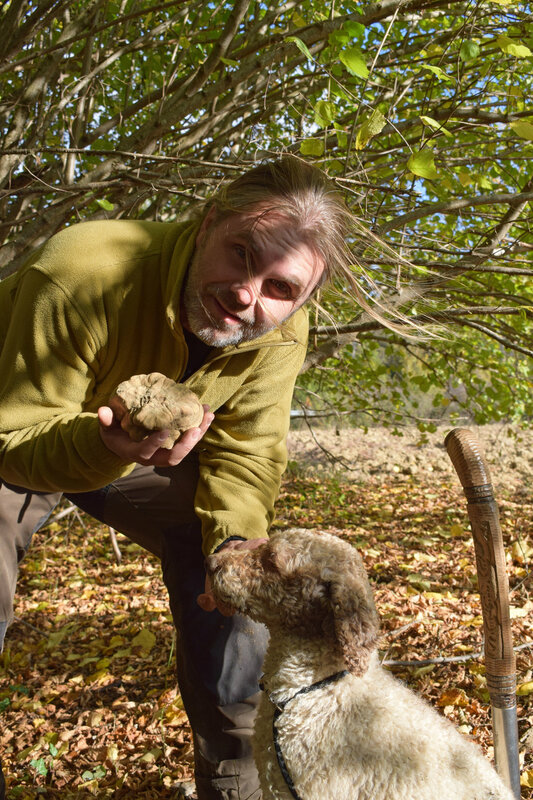 The Greek largest white truffle was found by the associate of the Museum of Natural History of Meteors and the Mushroom Museum, Mr. Christos Plesiotis, and actualy by his brucel, Brio , in the mountains of Meteora Greece .Pisialis is a collector, chef and owner of a large dog farm for Lagotto Romagnolo truffle hunting, named Il monte del bianco. The truffle is considered a huge successsince the ususal white truffle weights 50-150 grams. 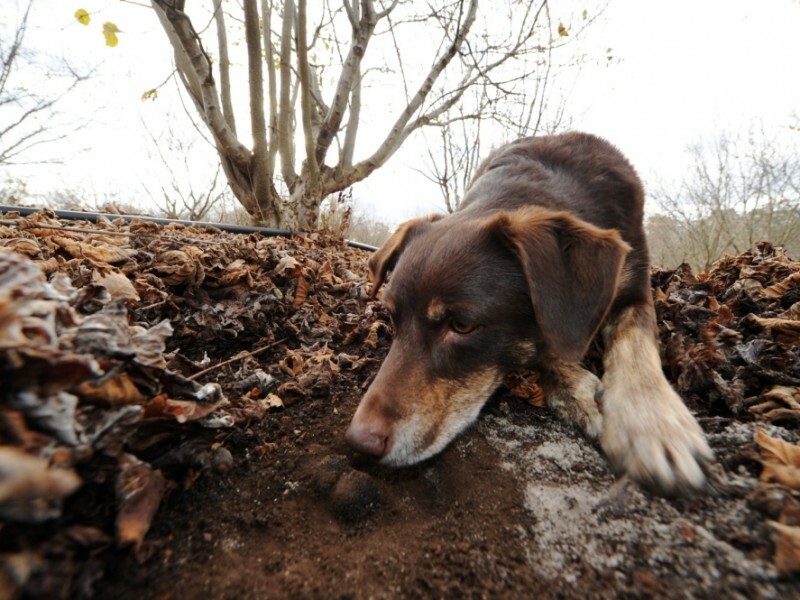 It is estimated that 2,000-3,000 Greeks are involved in truffle hunting and production, with Greek truffles now being exported as far away as the United States. According to an Athens Macedonian News Agency (AMNA) report, truffle wholesale prices in the European market are €3,000 ($3,700) per kilogram but substantially higher in the United States. The Tuber magnatum variety grows very well in Greece. The Greek Alba truffle has made it to fine restaurants in the U.S. thanks to Greek export company Eklekto, says a Bloomberg report. 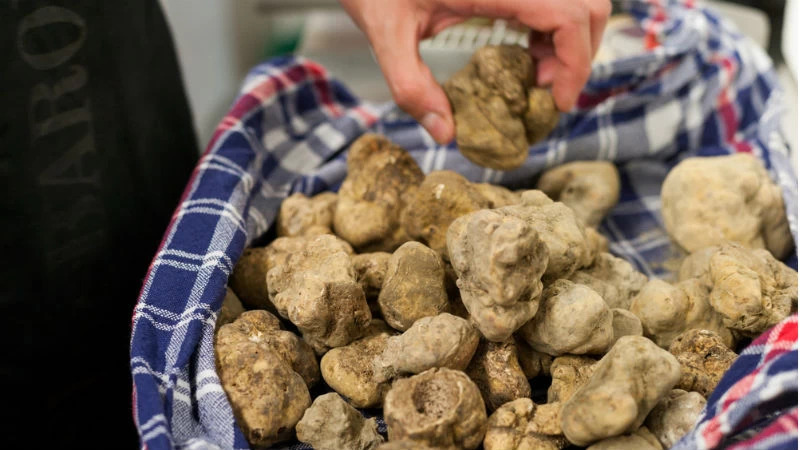 According to the report, Italian truffles go through many hands before they reach American restaurants, and some times counterfeit products arrive at the final destination. 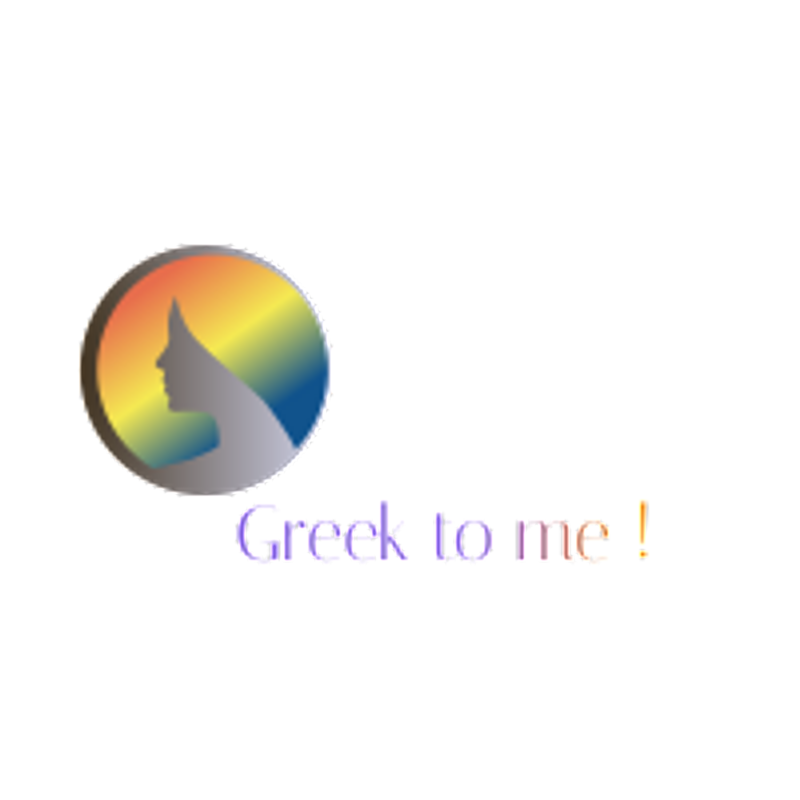 However, Eklekto partners Peter Weltman and George Athanas say they work only with a small group of Greek foragers and know exactly where the product is from. Apart from the trusted forager working with his trusty dog, Weltman and Athanas are the only people that touch the truffles before they are packed in the box to be exported, the company notes. With Alba wholesale prices climbing due to drought, it was easy for the Greek truffles to enter the American market. Last year, Italian truffles jumped to $3,500 a pound. Greek truffles were slightly cheaper, going for $3,150 a pound, Bloomberg added. The Ancient Greeks believed that truffle ("hydnon") was born or ascending from the depths of the earth by lightning! (Plutarch "Symposiaka"), and there are references to specific places where truffles were found by the ancint times. Theophrastus, Dioscorides and Athineus have been extensively reported in "Hydna". Truffles contains high quality protein and amino acids, several dietary fibers, minerals and trace elements (such as iron, calcium, potassium, phosphorus, copper, zinc), and vitamins (B1, B2, B3, B12, D).